Value investing used to be about betting on the underdog — finding the down-and-out losers and gambling that they might have one more fight left in them. 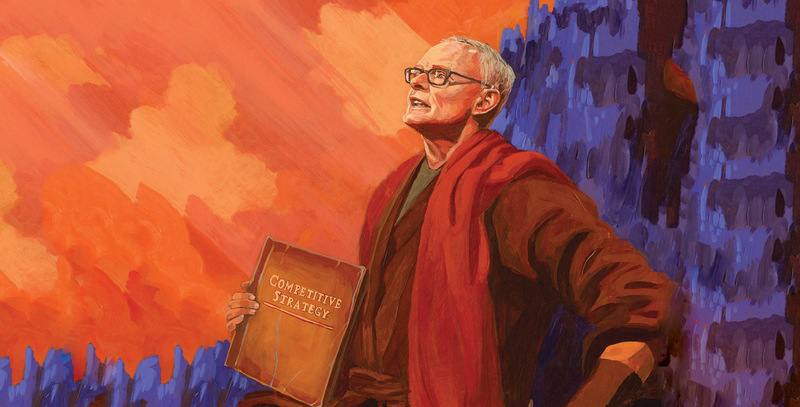 Today’s value investors have a new gospel: Harvard Business School professor Michael Porter’s Competitive Strategy. Porter’s theory is that power leads to profits. The wider the moat, the greater the market share, the greater a company’s ability to squeeze profits from competitors, suppliers, and customers. Porter tells a modern parable of the Five Forces — the professor’s signature analysis framework — that gave Goliath a sustainable competitive advantage over David. But the founder of value investing, Benjamin Graham, was a poor Jewish immigrant who made his name betting on the Davids of the stock market. The legendary Graham believed that investors could make money by betting against consensus when that consensus went against the numbers. There is perhaps no greater gap between consensus and numbers today than in the application of Porter’s competitive strategy to investing. Unlike Graham’s quantitative methodology, which has endlessly been empirically proven, Porter’s competitive strategy principles have no empirical foundation. There is simply no evidence — not a single quantitative study — to support his conclusions. Is it possible that the consensus view of competitive strategy, taught at every business school in the country, just isn't right? This consensus around Porter’s ideas in the value investing community is jarring given how controversial those theories are elsewhere. Economists at the University of Chicago have thoroughly disproven any connection between market share and profitability; antitrust law once assumed that high market share was necessarily anticompetitive, but the courts abandoned that idea in the 1980s as lacking an empirical foundation. Porter maintains that “the fundamental investor that uses the Five Forces to understand what determines the fundamental economic value creation in an industry and how it is changing gains a huge edge.” But that edge hasn’t been much in evidence of late, as fundamental investors have grappled with years of underperformance and fund outflows. Instead, the edge seems to be with Porter’s ideological opposites at the University of Chicago. The Chicago school is known for eschewing theory in favor of rigorous empirical research, and its research has found that the best-returning stocks are the small value companies like those Graham invested in, rather than the large market leaders that Porter’s analysis favors. This evidence-based approach to investing has been winning the battle for dollars and alpha. Dimensional Fund Advisors, co-founded by Chicago’s Eugene Fama, is the fastest-growing major mutual fund company in the country, with two thirds of its funds beating their benchmarks. Other Chicago school investors, from Cliff Asness at AQR to Wes Gray at Alpha Architect, have seen similar results. But despite the evidence, fundamental value investors remain enamored of Porter’s ideas. 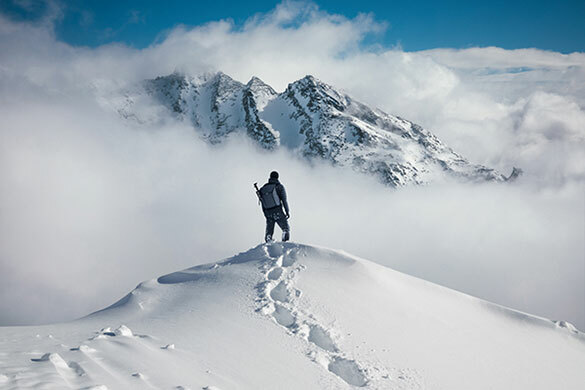 When they talk about market leaders, market share, market position, competitive advantage, and barriers to entry, they are, sometimes unwittingly, embracing Porter’s view of strategy. Is it possible that the consensus view of competitive strategy, taught at every business school in the country, just isn’t right? Yet Porter did not choose to study economics. Rather, he elected to study business, an academic field in which knowledge is still derived primarily from case studies rather than from econometric analysis and where many professors strive to develop theories that will resonate in corporate boardrooms rather than scientific academic journals. Porter’s first major publication would come to define his career. He staked out his position in a 1979 Harvard Business Review article, “How Competitive Forces Shape Strategy,” and in his 1980 opus Competitive Strategy. Porter declared that the end goal of strategy is to capture “excess profits,” which arise from the structure of industries, and that there are “Five Forces” that shape this structure: the bargaining power of suppliers, the bargaining power of buyers, the rivalry among existing firms, the threat of substitute products, and the threat of new entrants. Porter’s idea of competitive strategy emerged from the work of University of California professor Joe Bain, who developed a theory he called structure, conduct, and performance. Porter’s Ph.D. adviser at Harvard, Richard Caves, was a student of Bain’s, and Porter’s theory is at heart a reframing of Bain’s ideas. Porter presents market power and barriers to entry as the end goals of corporate strategy rather than as problems requiring government intervention to solve. Bain believed that profits followed from power, and that power could be measured by market share. If one company controlled 70 percent of a market, that company could use its power to generate higher margins than a weaker company that controlled only 30 percent. Bain argued that these powerful businesses solidified their profits by erecting barriers to entry to prevent new competitors from entering the market and offering lower prices that would dilute the profits that resulted from market power. In his view, advantages such as market share, scale, and product differentiation brought certain incumbents unfair and excessive profits. Industrial organization theorists like Bain and Porter believe that industries, rather than individual companies, are the proper focus of academic inquiry. To understand an individual firm, they argued, start with the industry power structure. But economists at the iconoclastic University of Chicago disagreed with this approach. The Chicago school, as they came to be known, were uncompromising empiricists who believed in free markets and liberalism. They found in Bain’s theory of corporate power structures the creeping influence of Marxist sociology and sought to disprove that idea and show that industry structure did not in fact dictate firm performance. The Chicago economists saw this intellectual battle as central to their larger war for free markets and against government intervention in the economy through antitrust action; Bain’s theory, in addition to inspiring Porter’s work, was central to the prevailing school of antitrust enforcement in the 1970s. Professor Henry Manne, who studied at the University of Chicago, called Bain’s analysis “a sham,” nothing more than a “scare argument about the political power of large corporations.” The Chicago school economists presented a blistering series of economic analyses that sought to disprove the link between industry concentration and profitability. University of Chicago economist Yale Brozen replicated Bain’s study with a larger sample of industries and found no meaningful advantage for concentrated industries. In another study, Brozen showed that there was no significant relationship between concentration and profit. Suppose that it costs $10,000,000 to build the smallest possible efficient plant to serve a given market; then, it was argued, there is a $10,000,000 “barrier to entry,” a hurdle a new entrant would have to overcome to serve the market, at no disadvantage vis-à-vis existing firms. But is there really a hurdle? If the $10,000,000 plant has a useful life of, for example, ten years, the annual cost to the new entrant is only $1,000,000. Existing firms bear the same annual cost, assuming that they plan to replace their plants. The new entrant, therefore, is not at any cost disadvantage after all. The idea of barriers to entry may resonate with the lived experience of many investors and entrepreneurs, but the courts and the regulators have generally come down on the side of the Chicago economists. With the election of Ronald Reagan in 1980, the Chicago school’s ideas became government policy. University of Chicago graduate Robert Bork was appointed solicitor general, and the Department of Justice’s Antitrust Division and the Federal Trade Commission cut back on merger challenges and “monopolization” cases. In the judiciary the Supreme Court echoed Chicago school arguments almost word-for-word in three seminal cases: Reiter v. Sonotone Corp (1979), Matsushita Electric Industrial Co. v. Zenith Radio Corp. (1986), and Brooke Group v. Brown & Williamson Tobacco Co. (1993). These cases raised the bar for antitrust enforcement by requiring real evidence of consumer harm as a result of market concentration. The latest merger guidelines instruct lawyers not to rely on arguments based on industry power structures but instead to provide evidence at the level of an individual firm and an individual consumer. Porter has bemoaned these developments, arguing that “recent court rulings and public debate suggest that the foundations of antitrust theory and practice are wearing thin,” for which he blames excessive discussion of “arcane matters” like industry concentration. The Chicago school didn’t just win in the courts and with regulatory bodies, however; they also won the argument in academia. The field of industrial organization, from which Porter drew his original ideas about industry structure dictating performance, has almost completely abandoned his theory. In a sophisticated econometric study, Richard Rumelt, a fellow Harvard Ph.D., put the metaphorical nail in the coffin of Porter’s industry-centric view of strategy: “The ‘classical focus on industry analysis’ is mistaken,” Rumelt wrote. He described his work as an “empirical warning” that industries and companies were far too heterogenous to be described with a general model like Porter’s. The current edition of the pre-eminent industrial organization textbook now admits: “Knowledge does not easily accumulate across industries.” Essentially, the field of industrial organization — from which Porter derived his approach — has rejected Porter’s attempts to create a structural model of how industries work. But even as the academic field of industrial organization was retreating from these broad generalizations about industry, and as the Supreme Court and the federal government were abandoning market share as the sole measure of anticompetitive behavior, structure performance theory was about to take on a new life thanks to Michael Porter. When Porter became a Harvard Business School professor, the strategy curriculum in particular felt like a caricature, centered as it was on SWOT analysis (that is, identify a business’s strengths, weaknesses, opportunities, and threats). Porter disliked this approach because, he wrote, it “was based on the idea that every case is different and that the relevant considerations are company-specific.” He wanted to provide a more general structural theory that could help business leaders make more-effective strategic decisions. Porter’s advocacy of a Machiavellian pursuit of market power as the key to earning excess profits found receptive ears among a generation of Harvard MBAs. Renowned investor Muneer Satter, for example, says that Porter’s work is “the foundation of my investment philosophy, which has guided me during my entire career, including 24 years at Goldman Sachs.” Satter is far from alone among HBS graduates in his effusive praise for Porter’s work. In Chicago, Porter’s theory of competitive strategy didn’t inspire the same hostile reaction among the economists as Bain’s studies. The Chicago school economists cared about free markets and preventing government antitrust regulation; they didn’t have a particular dog in the fight when it came to what business schools were or were not teaching future CEOs. Instead, the task of challenging competitive strategy in academia fell to an academic at a rival business school: gadfly Wharton School professor Scott Armstrong. Armstrong saw his Wharton colleagues teaching competitive strategy but couldn’t find any evidence that these theories were right. He reviewed 12 studies that looked at whether CEOs who used competitive strategy fared better or worse than those who did not; he found only that companies whose CEOs set competitor-oriented targets achieved reduced profitability and worse performance than those who focused on profits alone. The correlation between return on investment and competitor orientation was strongly negative: The more companies focused on market share and competitive strategy, the worse they did. Armstrong next set out to test whether Porter’s Five Forces were useful in making decisions. However, he had trouble thinking of a scientific way to test those ideas, because Porter didn’t define them in such a way as to enable easy falsification. Armstrong instead chose to test Boston Consulting Group’s famed strategy matrix, which places a similar emphasis on market share. He first ran a survey asking MBA students whether they believed the strategy framework was helpful. Only 5 percent argued against it, but none could cite any empirical evidence for the framework apart from the textbook or instructors. Armstrong did his own literature review and found that there was not “a single empirical study” that demonstrated that competitive strategy frameworks were helpful as decision aids. So the iconoclastic professor decided to set up an experiment. Armstrong wrote a case describing two investment opportunities: a good investment that, unbeknownst to the students, would double over the next ten years and a bad investment that would lose 50 percent of its value. He asked 228 business school students to choose between the two. Only 55 percent chose the profitable one. Armstrong then added a twist. The next 296 subjects compared the same two investment opportunities, but this time the professor introduced a strategy matrix that emphasized high market share and rapid industry growth. The unprofitable investment was labeled a star (high growth and high market share), whereas the profitable investment was labeled a dog (low market growth and low market share). This time only 36 percent of business school students chose the profitable investment. Of those who admitted to using the strategy framework, only 13 percent picked the profitable investment. Armstrong concluded that competitive strategy was not just a harmless teaching tool like SWOT analysis, but a mind-set that actively “interferes with profit maximizing” in the real world. To find a prime example of the negative impact of Porter’s Five Forces, one must look only as far as the corporate M&A market. Given the thesis that higher market share leads to greater market power and thus competitive advantages, Porter’s work would seem to imply that buying competitors would lead to better outcomes. A 1998 survey of CEOs found that the primary goals of corporate M&A were pursuing market power and increasing profitability. Yet the outcome of this strategic thinking has been significant value destruction for shareholders. A meta-analysis from 2004, analyzing 93 published studies and more than 200,000 deals, found consistently negative returns from corporate M&A. And yet the growing influence of Porter’s theories has not been hindered by the skepticism of the antitrust courts, by the lack of empirical support, or by the aggressive challenges from Armstrong and others. Rather, the theories have continued to dominate conversations in corporate boardrooms and on Wall Street. Value investors like Buffett and Columbia University’s Greenwald have embraced the Five Forces framework. A casual perusal of SumZero, an online forum for buy-side investors, reveals an in-depth discussion of market share, industry structure, barriers to entry, and competitive position. Even Buffett, who is in large part responsible for popularizing Porter’s ideas in the value investing community, does not appear to have benefited from integrating “strong moats” into his own value investing strategy. Breaking down his returns relative to the S&P 500 from his acquisition of Berkshire Hathaway in 1965 to 1981 — when he first used the words “market share” in an annual letter — and from 1981 to 2016 reveals that Buffett outperformed the S&P by 21.1 percent per year in the period before first articulating these ideas, but only 10.3 percent per year in the years after. The old-school fundamental value investors who prize Porter’s frameworks have come under fire from a familiar source: the Chicago school. Chicago’s Fama has published studies showing that actively managed mutual funds underperform the market and that small value companies — not large market leaders, as Porter would have it — are the best-returning stocks. Fama’s works suggests that Benjamin Graham’s instincts were right: The real money is to be made betting on the Davids of the world, not the Goliaths. While it makes sense that stocks with great earnings gains and high profit margins should be good investments, the long-term data suggest otherwise. That’s because successful investing relies heavily on buying stocks that have good prospects, but for which investors currently have low expectations. Stocks with great earnings gains and high net profit margins are basically high-expectations stocks. These high expectations often lead investors to overpay, and these ‘super’ stocks inevitably stumble, their prices swoon, and they become victims of their own success. Porter’s logic suggests that firms with competitive advantage would earn excess profits, so profitability margins should be a guide to which firms have the most-sustainable profit pools. Yet profit margins have no predictive power in the stock markets. In fact, academic research suggests that margins are mean-reverting and provide little information about future profitability. The implicit certainty of Porter’s view of the world — that margins are persistent, that competitive advantages result from permanent structural features of industries, that “excess profits” come only from distortions in market structure — could lead investors to overpay for current performers. The theory leads not to an investing edge, but to the most common of investing mistakes. The consensus of MBAs may be with Porter, but the evidence is not. Porter will regularly declare in interviews that his insights are effective “generalizations” that are “normative,” but the evidence does not support those claims. As Oxford professor Thomas Powell wrote in a recent paper: “There appears to be no falsifiable, unfalsified theory of competitive advantage, nor any competitive advantage propositions defensible without resort to ideology, dogmatism, or faith.” Ideology, dogmatism, and faith, in turns out, are poor foundations for an investment thesis — and poor opponents for the rigorous empiricism of the Chicago school. Amid sustained intellectual attacks from the Chicago school on the econometric side and myriad exceptions on the case study side, is that middle ground tenable any longer? Daniel Rasmussen is the founder of Verdad Advisers and the author of American Uprising: The Untold Story of America’s Largest Slave Revolt.